W---’s music served to encourage the teenage angst & fear of the time (though of course it was a white band for white people) and of course we gotta take his word for it as we don’t know what W--- actually saw but I guess the sentiment is real enough!! Both W--- and L--- are highly androgynous, in different ways, but in white ways and in masculine ways. So while I was painting L---, I was reflecting on my adolescent desire for being in a specific & impossible body. ...he told me about queerness. He was the first andro person I was exposed to (in a very dark & intimate, but large & public space!) and I fell in love instantly. RIVULET: Could you reflect on your art practice, how it and the expressive medium has shifted for you, your thoughts around queer beginnings, and the ex-voto as form/action? NT: The importance of each of my ex-votos lies in the process. The act of painting, in this case, is a ritual that meets certain criteria depending on the event that is represented. I chose to make votive paintings a few years ago as a reimagining of religion & spirituality. In doing so I discovered the potential for self-reflection within a practice of my own making (I am not otherwise affiliated with any religion). 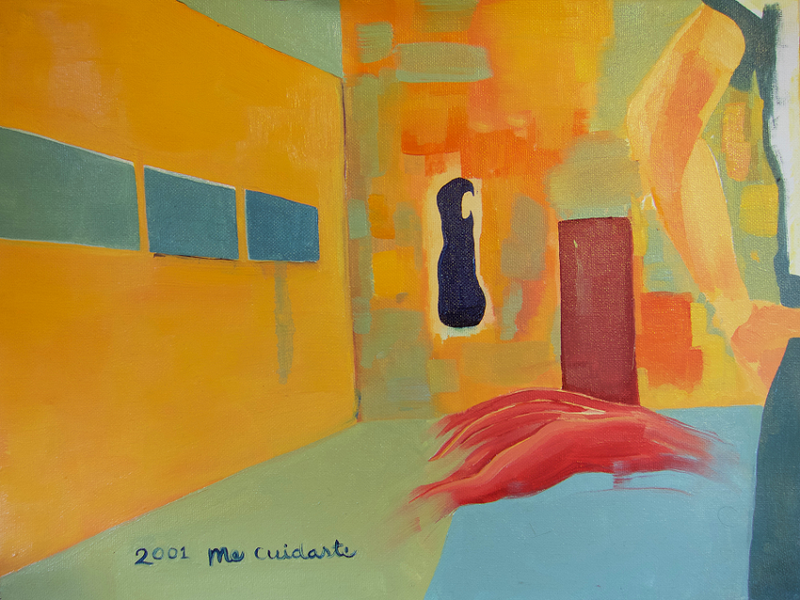 Each painting depicts a saint (as either figure or location) and a corresponding event in my life. Each event is based on a queer beginning, which I interpret as a specific happening in my past that is necessarily responsible for an aspect of my identity as a queer and trans person. 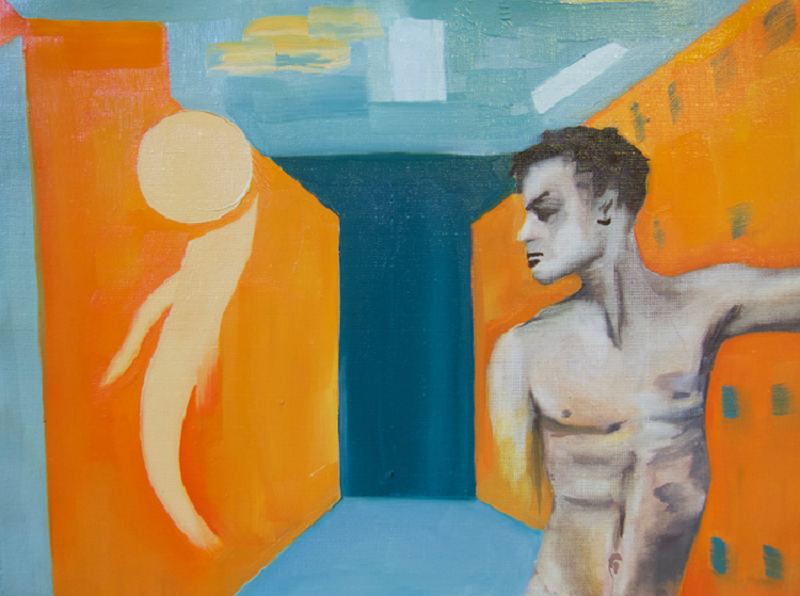 Unpacking a "queer beginning" is quite involved, but in painting, I have come to better understand the ways that different media has influenced my ideas on queerness. Nik Traverso grew up in Northwest DC and is currently based in Atlanta. Their paintings are directly influenced by queer subjects and personal experiences regarding the relationship to a body as a trans person of color. In representing these issues through painting, Nik extends the conversation of queerness to transcend the personal, and composes influential figures and settings - mostly derived from pop culture and literature. Additional work can be found @aaineki & cargocollective.com/aineki.